I think most can agree that when you get that bullet bouncing ricochet kill in Call of Duty, or that time when your ricochet shot in Peggle really pays off by clearing half of the board, you’re generally excited over the feat, and you’ll usually give that smirk and proclaim to the world “That’s what mad skills looks like!” It’s a game mechanic infrequently used, but when it is, it’s a blast accomplishing that trick shot in any regard. So when I heard that in the latest Nintendo Switch arena shooting game, Varion, it’s your main gameplay goal, and in fact the only way to defeat an opponent, I was excited over the opportunity to gloat at my mad ricochet skills…Well, skills that I thought I had. 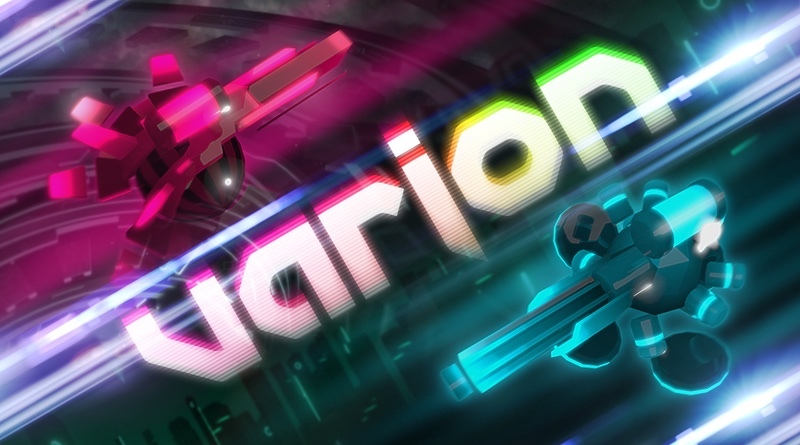 Varion at its core is a couch-competitive twin-stick shooter, with the hook that only ricochet shots can kill one of your three other opponents. Direct hits will do no harm and so it’s up to you to calculate every shot with immense precision and forethought. Or as I found in my case, fire shots wildly in all directions in hopes I blasted my opponents away. Players are easily invited into this game through soft glowing neon visuals, and subtle but artistic backgrounds for each of the arena layouts. The color coordination also ensures that all of the players’ vehicles are very visible. I never felt like I lost track of where I was on screen or that my colors blended negatively. Visual effects are crisp and clean and never too distracting, leaving a very fluid and engaging theme and style overall. I found the menu selections to be a bit too “PC interface” designed, and sometimes difficult to read when playing the Switch in handheld mode. The match customization options within Varion were indeed very expansive I found. There are multiple game types that you can set, along with fine-tuning the number of ricochet bounces a projectile can make, and many more subtle and non-subtle adjustments that can set up some fun and unique matches. The ricochet number was the biggest driving factor I found out quickly. With less bounces, every shot you made had to be far more precise, tactical, and with great foresight. However, bumping that number of ricochet times up to the maximum of 8 created a frenzy of projectiles being bounced all around the map, in particular when playing with the max 4 players. This quickly created more a game of chance survival than skill more often than not. This leads me back to the core mechanic of ricochet shots. After playing dozens of matches, I never felt as though my skill in the mechanic was improving, but more that my luck would either be in my favor or not. I did feel as though I learned of a few helpful areas in each of the layouts that would aid my attempts at hitting an opponent, but mostly it still felt very chance-based. Yet, with a mechanic like that, in many ways, how could it not be just that? You’re essentially banking on firing a projectile against an unpredictable moving target. Varion does find a good home on the Nintendo Switch as it makes use of the couch-competitive focused nature of the system. The game has well-defined visuals, and the arena gameplay is frenetic. I can imagine there are those that will become quite skilled at the game, but for my time with it, I only ever felt like I was primarily playing a luck-based arena game, which ultimately may turn away potential players for this game. If you’re up for a slick local play arena shooter for your Switch, Varion comes to the table with prominent visuals and easy controls. However the core game mechanic of ricochet-only kills will definitely turn off some players, as it feels more luck-based than skill.